Poker, one of the world’s most popular table games, is known for being a game involving great skill and strategy as much as luck. Poker rules are simple. Winners are determined based on the outcome of each player’s combination of cards, and bets are made accordingly before hands are revealed. Though there are hundreds of versions of poker, the main objective remains the same: to have the best hand, or to make the opposing player(s) believe that you have the best hand. Poker might seem like an intimidating game for beginners, but fortunately there are many things that can be learned to increase even the most novice player’s chances of winning. Every good player knows that poker is about learning to effectively use a combination of chance, strategy and timing. This becomes more apparent once you’ve learned how to play poker, and over time anyone can learn the proper techniques in order to get better at the game. We have all heard of the terms regarding body language in poker such as a poker face and bluffing, but there are many other methods that one must utilize and internalize to gain an advantage. Whether playing online or at a real brick and mortar casino, we’ve put together a list of 8 ways to make a killer impression at the poker table. 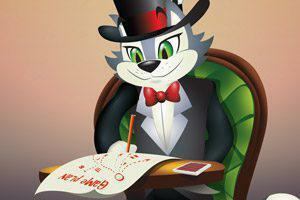 Take a seat at the table with us at CoolCat Casino! Interested in getting started? Though there are many options of poker to choose from, we recommend you start by learning about a worldwide casino favorite, Pai Gow Poker! 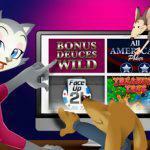 Sign up today and play this super online video poker! One of the most important things to do to make a killer impression at poker is to set your intention. This is specifically important before any kind of big event where you will engage with other people — e.g. business meetings or networking events. It is particularly effective at a poker table where you are in close proximity to other players. Visualize your game plan and set an intention. If you project the results in your mind beforehand, it will help you focus your energy on what you want to achieve during the event. It helps to go in with a game strategy in mind. Visualize how you will play hands even before a game starts to ensure that you can bring home a victory. When you choose to take a seat at the poker table, consider it like you would a holy place or temple. Your behavior should be calm and relaxed. From your type of dress to the ability to control your nerves, it’s important to be in the moment and remain cool. If you let emotions get the better of you, or are simply having a bad day, it’s best to skip playing at all. You want your judgments to reflect your strength as a player and not your weaknesses. The key is to feel comfortable in your movements and to project a level of confidence that lets other players know that you mean business. Many pros know even if you don’t have the best hand at the table, you can still hold the advantage simply based on your ability to control your emotions; to be proactive and not reactive. There will definitely come a time when you lose, but regardless of the outcome of a game, the key is to learn from losses and from your mistakes. Ultimately, this will ensure that you avoid repeating them. Body language is crucial when playing poker. Everything from your posture to how you carry yourself to the way you’re angling your body. Often, simply being aware of your body language can result in immediate improvements. 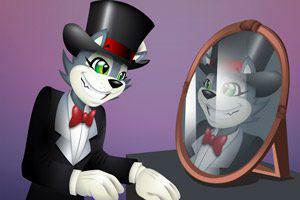 Practice by playing online before a mirror. Be aware of subtle cues such as where you point your feet, position of your shoulders, or the way you sit at the table to avoid revealing tells. Being in control of your body movements as well as playing style let’s others know if you are an aggressive or defensive player. Outward expressions of body language are messages or social cues that opponents can use to their advantage. Be mindful of them. 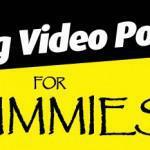 These are two helpful poker tips that many players find useful. Keep in mind that your goal is to learn poker strategy and not waste money while doing so. The best way to ensure this is to start by betting low. When you know that you are not risking huge sums of money, you will be more comfortable with losing, and therefore won’t let it get to you. This will enable you to learn from the game in front of you and help you to become more confident as you play. Starting at the lowest limits lets you spot the weaker players and puts you in a better position above them mentally. It’s a great exercise in bankroll management. Also, it’s important to play your strongest hands and allows you to avoid tough decisions post flop. Though this forces you see less action during actual gameplay, since you won’t be bluffing as much, it allows you to play more aggressively when it counts because you know you have a good hand. Practice remains key, so put in some time playing poker online at CoolCat Casino for free or real money to get your game in shape before you head to the high rollers table. Ultimately, the game of poker boils down to mathematics. There are certain outcomes and sets of hands that are frankly less likely than others. Study the various types of hands and memorize in detail the odds of particular card combinations over others. This way when you play you can realize moments when you can expect to be dealt a straight flush vs. a pair of face cards. No poker player can bet intelligently unless they knows what constitutes a good hand, a fair hand, and a bad hand. Take opportunities when they present themselves, and recognize when you have a bad hand and fold. Don’t let your ego get the better of you. This will help you when you play for real money. Speaking of real money, if you’re playing casino games online we suggest you get started with our video poker series and learn more here. Learning how to bluff, for instance convincing a player that you have bullets instead of blanks is important, but it is equally important knowing when to bluff. A rookie mistake and classic mark of a beginner is bluffing too often or all the time. Good players can recognize this and will catch you, quickly outing you as a fresh fish, and ruining your bank balance. Don’t be careless or play too risky. Timing is critical. Play good hands when you have them, but be careful not to seem overly confident when you don’t. Experience is the best way to learn when to double-down, go all-in or fold. It helps when you play confidently at your turn. There is nothing that players hate more than someone who plays out of turn, fidgets or bets prematurely. You should only make any sort of card movement, bets or folds when it is your turn. Poker is a lot about social dynamics and essentially understanding people. As with any type of social interaction you will encounter different types of people within any given game. A key advantage is to recognize that there are different types of players, and that each player requires a different approach. Ultimately, your goal is to convince the other player whether you are holding a certain hand or not. Note that not all aggressive players are good and not all passive players are easy to beat. Some players learn how to project an image and otherwise do the same to win. So be prepared for all possible scenarios. It’s Murphy’s Law. The sooner you spot the type of player you are playing against, the sooner you can work that to your advantage. Just remember this: think about your opponents’ cards. Understanding the range of your opponent will help inform you on the many outs you have and when to capitalize on educated decisions. Though there are many factors that will suggest what hands your opponent could be playing, the simplest version is to recognize his/her position at the table. How they bet or check will reveal their strengths and weaknesses, and it’s good to know that people are less likely to have many strong hands in a row when you consider what you have. 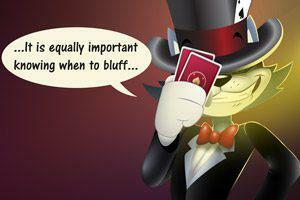 Also, the more time they take making a decision lets you know whether they have a good hand or are bluffing. Knowing the difference will help you in a big way! If you’re stepping foot in a casino for the first time, it’s good to know of the types of opponents and gamblers that exist. 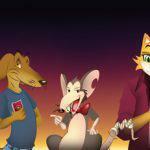 Read CoolCat Casino’s article on the 5 types of gamblers you’ll find and how to spot them to learn more! As with any skill, the more experience gained by practicing the more you benefit and become better. Learn by playing poker at a table and around people. 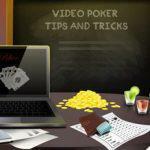 Practice playing poker online. The more you learn about the psychology, strategy and social dynamics involved in the game the better you will be over time at mastering these elements; thus improving your skill level and your bankroll. Once you play at a table for real money, there is no better confidence booster than knowing exactly what you’re doing. 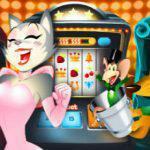 Why not practice or play for real money at CoolCat Casino today? Try our Tri Card Poker game either on your computer at home or mobile device! Just click here! Set an intention and have an objective in mind even before you sit at the table, this will help you gain critical victories. Play when you feel good: this will guarantee confidence and will remove the possibility of losing your cool at the table. Be conscious of body language. Be mindful of your movements at the table, other players will try to spot tells and use them to their advantage. Start low and play tight but aggressive. It helps to start by betting low, build confidence as you play and bet big when it counts. Know the odds and when to bet or fold. Study the odds of being dealt various hands and don’t let your ego get the better of you. Timing is everything. There are critical moments knowing when to bluff, don’t overdo it, it’s a rookie mistake. Play your opponent, and get a feel for their potential hands and style play. The more you study them the better understanding you have of knowing what you’re up against. Practice. Practice. Practice. The more you practice online and with friends the better you will be when it comes down to sitting at a real table. Poker is a tough game that boils down to skill, patience, and perseverance, but it is not an enigma. Much like life, it is about understanding people and how to influence decision-making. Incorporating these elements along with understanding the mathematics involved will help you improve as a player during the dynamics of gameplay. 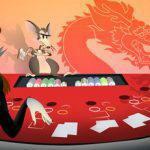 Keep the listed tips in mind, and you’ll be sure to make a killer impression at the poker table in no time! Now that you’re feeling more comfortable, and have some important unspoken poker rules in your back pocket, you should register with CoolCat Casino today to try your hand and play for real money!